Corner Pocket Swing specialises in teaching lindy hop and vintage dances from the 1920s, 30s and 40s in Brisbane, as well as running social dances. Corner Pocket Swing specialises in teaching lindy hop and vintage dances from the 1920s, 30s and 40s – get some basic steps in and then get swingin’! Swing dance is a vintage dance developed with a style of jazz in the 1920s-50s. Join Alice and Matt in a 6-count swing class. Learn the basic swing steps and key moves of this vintage partnered dance. No need to bring a partner. 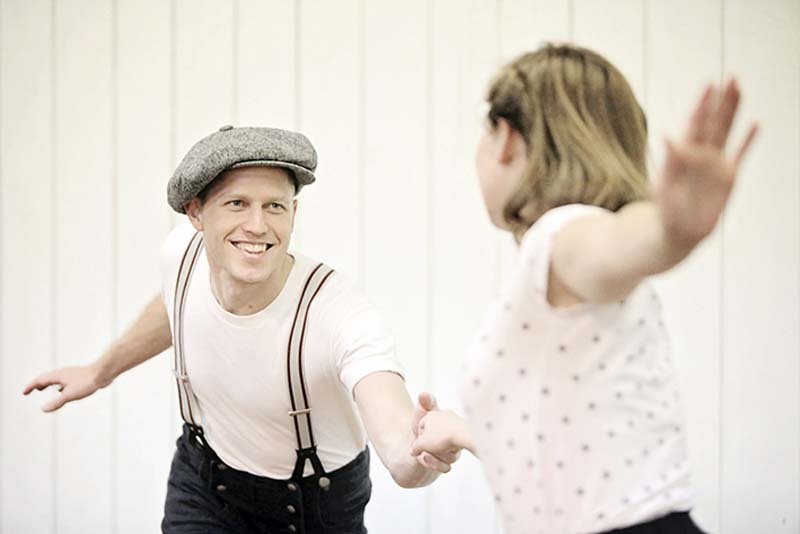 Go back to the glitz and glamour of *The Great Gatsby* era in a partnered Charleston class where Alice and Matt teach you the basics of this quirky vintage dance.